In 1974, six attorneys in Midland, Texas, joined forces to establish a law firm that would provide excellence in legal representation to the oil and gas industry, financial institutions, and other businesses and individuals in the Midland community and other areas of West Texas. Today, we have nearly 40 attorneys, utilizing technology to allow our office to be a full service law firm. We continue with our original mission of superior service, delivered with a friendly, team-oriented approach. 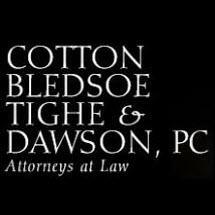 We continue to offer our clients creative, cost-effective, and common sense solutions to complex legal problems. Our clients appreciate receiving the level of service of a large law firm within the atmosphere of a smaller firm. Our attorneys are leaders both professionally and in the community. More than twenty are certified by the Texas Board of Legal Specialization in one or more areas of specialization including Oil, Gas, and Mineral Law; Estate Planning and Probate Law; Personal Injury Trial Law; Civil Trial Law; Civil Appellate Law; Labor and Employment Law; Farm and Ranch Real Estate Law; and Tax Law. Several of our attorneys have been named "Super Lawyers" and one has been named a "Rising Star" by Texas Monthly magazine. We have members who have served as Chair of the State Bar of Texas Oil and Gas Section, State Bar committee members, Texas Young Lawyers Association directors, and on several statewide boards, committees, and task forces. Our attorneys are in demand as authors for legal publications and as speakers to industry and legal groups. We have served local professional, charitable, and civic organizations as officers, directors, and volunteers. We have numerous attorneys licensed to practice outside the state of Texas as well. Total Electrical Service & Supply Co.